Monsoon showers are not that far to hit. Have you planned how you’d celebrate the first showers of this year’s monsoons? If not then we have an excellent piece of advice for you. 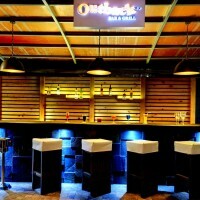 Hit the latest bar & grill spot in town – Outback. 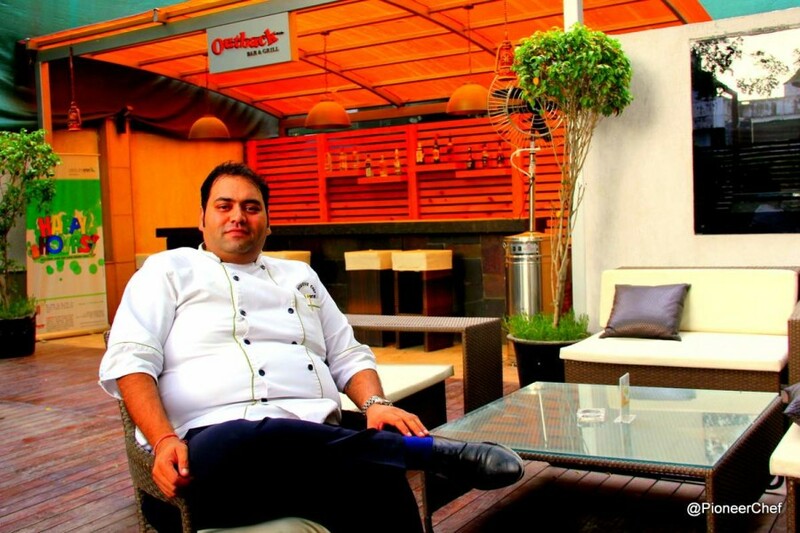 Outback, the open air bar and grill restaurant at Leisure Inn, Gurgaon has introduced some of the unheard and nowhere else available creations of Chef Abhishek Mathur. He is one of the very few utterly adventurous chef. Experimentation with traditional recipes to create a fusion of delights ‘Flexitarian Menu’ is Chef Abhishek’s USP. 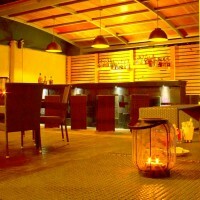 Beautifully fitted under a large Maragosa tree – Outback – offers to enjoy from an exhaustive list of wines and cocktails under the moonlit sky. 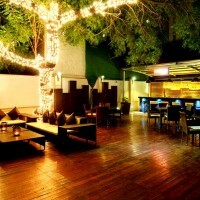 But what’s here to blow your mind is the unique menu offering an appetizing array of grilled meat, seafood, and vegetarian specialties. 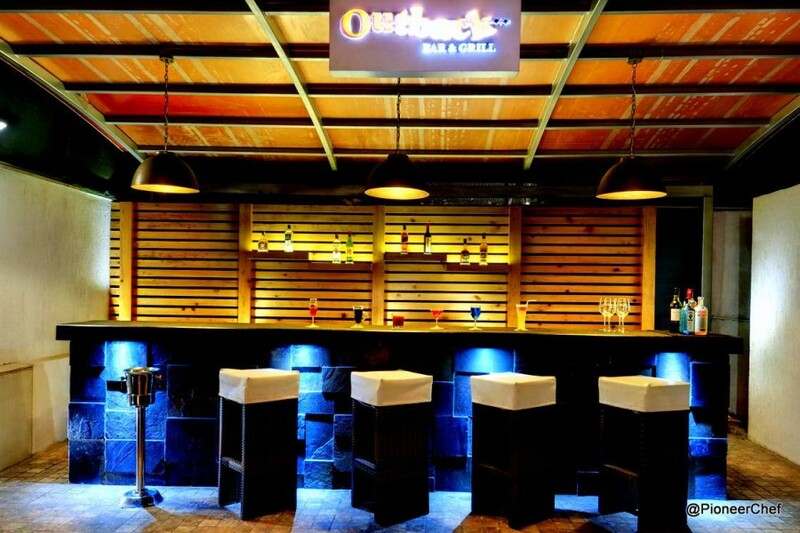 Outback is where you would love enjoying the first showers of a relaxed evening with lip smacking food while enjoying the sporting action on a giant TV screen after a long day at work. The new menu includes a long list of grilled delicacies that’ll best compliment your favorite drink on a showering evening. Let us take you through the menu and suggest a few stars from the new menu. Stating from the grill menu, Dahi Ke Suley happens to be Chef Abhishek’s personal vegetarian creation. It’s hung yoghurt mixed with chef’s secret spices & wrapped in soaked bread & deep fried. The crispy crust on the top sinfully soft inside is no less than a time machine that’ll transport you to a different world altogether. 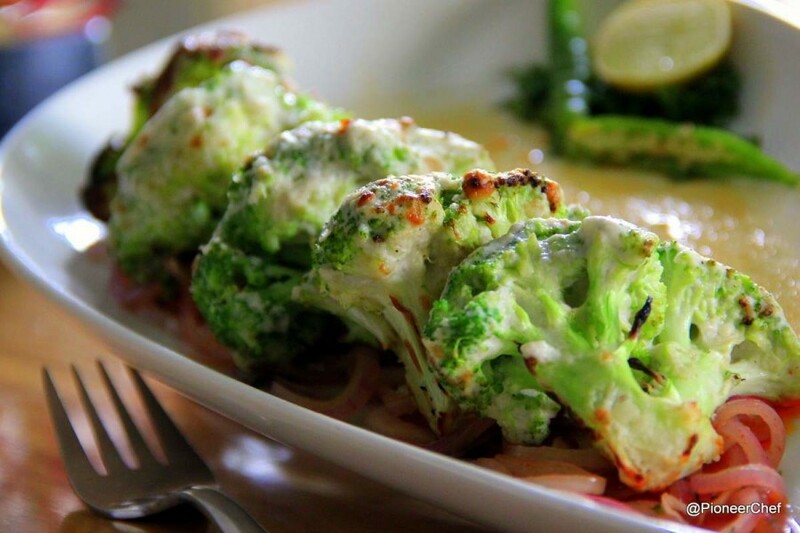 Dare to skip dish for vegetarians that can compete with the best of non-vegetarian kebabs and tikkas. 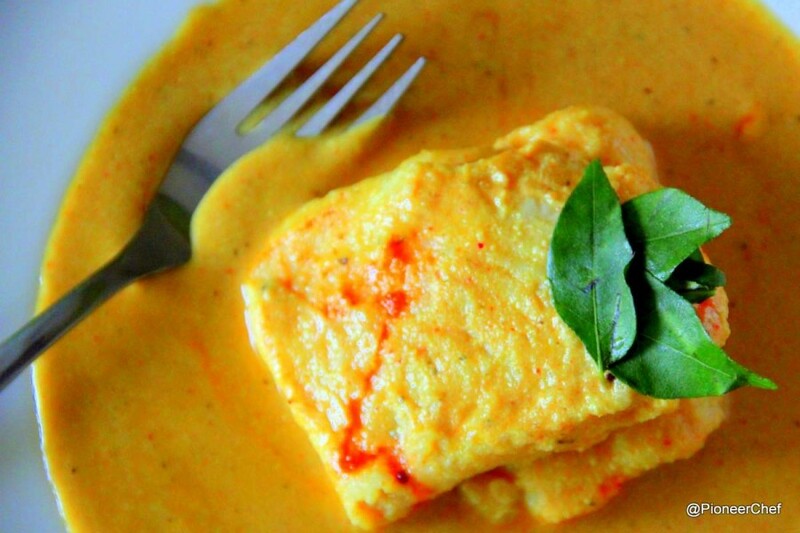 Malai Jhinga and Pepper Fish Satay are the other leaders of non-vegetarian starters’ menu. For me Malai Jhinga with a crispy crust and juices intact inside was a superstar to complement beer. 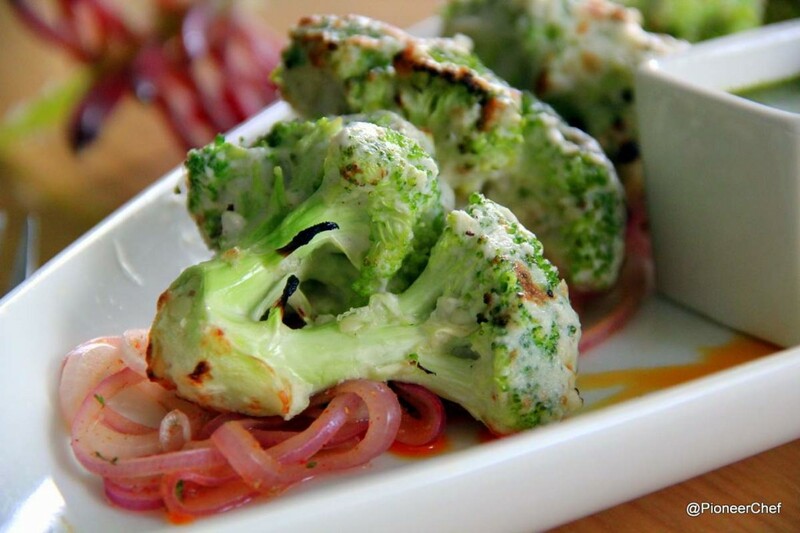 As far as veg starters are concerned, Malai Broccoli is another must try. 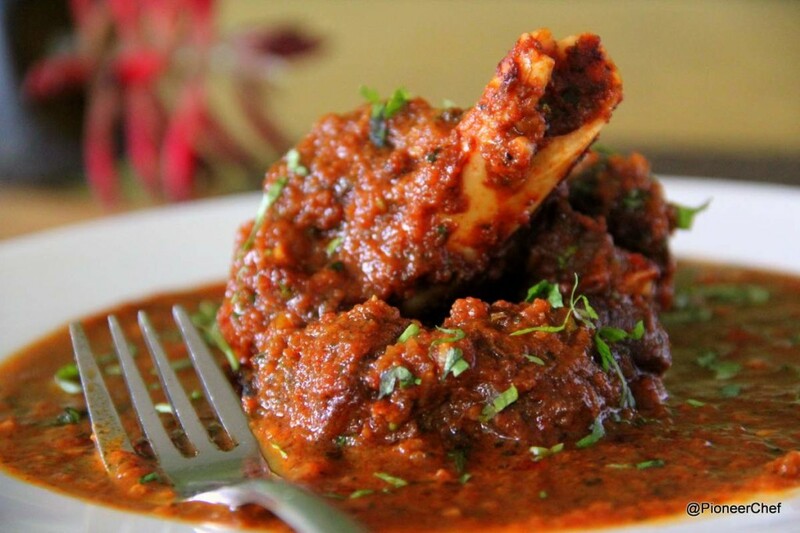 For chicken lovers Murg Wajid Shahi is a worth trying recipe. Originally invented for the toothless Nawab of Lucknow, Mirza Wajid Ali Shah and intricately imitated at Outback one can relish perfect Chicken Malai Tikka cooked here in rich gravy of cashew nut, raisins and cream. Hailing from a family of renowned chefs, Abhishek Mathur knows well how to maintain a balance in the menu for the lovers of non-vegetarian food and the vegetarian foodies. 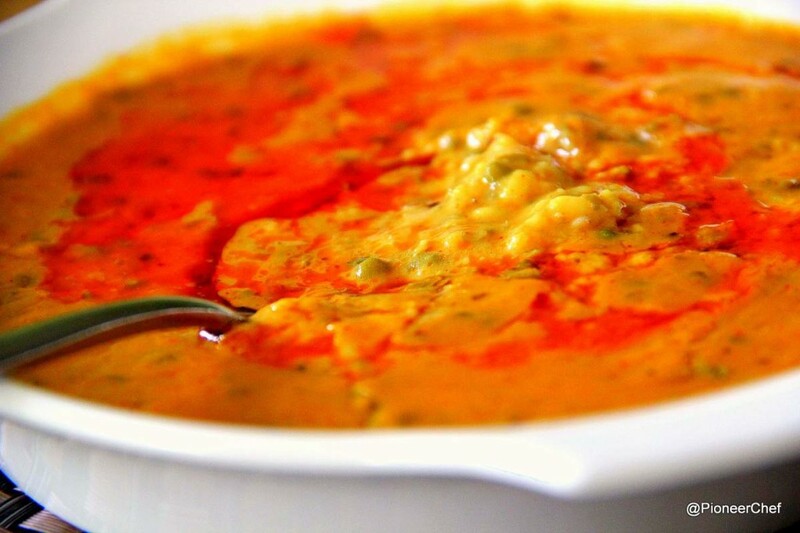 From his kitchen, Dal Quraishi is yet another MUST TRY for vegetarians. 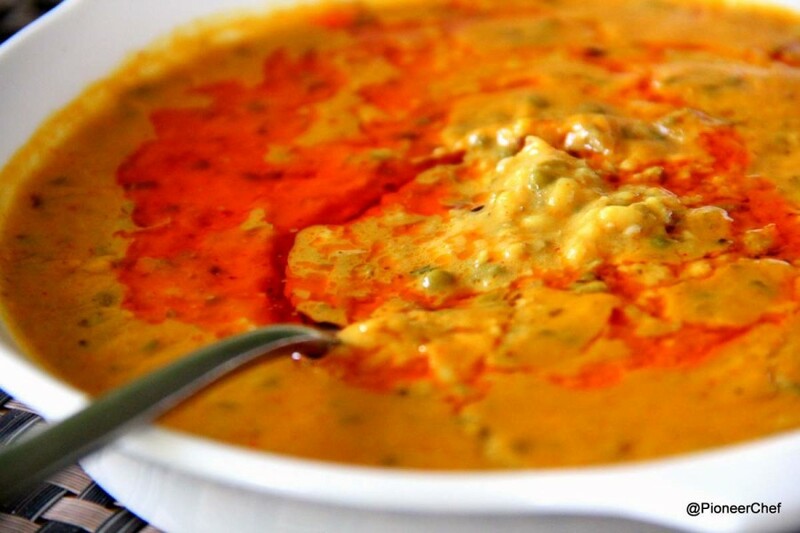 It’s a very different dal preparation for which Green Moong Dal is soaked in milk and cooked overnight on a slow fire with some royal spices. Guess what! Not a drop of water is used in cooking Dal Quraishi and it takes more than 48 hours for it to be ready for serving. I must say they have some extraordinary patience to try cooking that. Another delectable creation from Chef’s kitchen with a twist is Imli Ki Macchi – fish cooked in tamarind based gravy. Slightly tangy and well balanced on spices for Indian palette I’d suggest it to be teamed with a full bodied white wine of choice. Beliram Gosht and Dum Biryani too stand out in the main course’ menu. 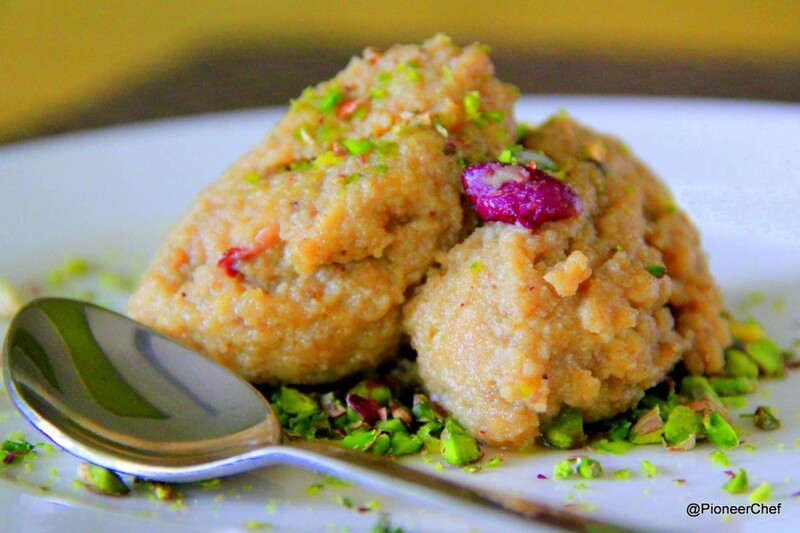 In desserts waiting at Outback is another unique and exotic delicacy – Gosht Halwa – a secret recipe from the royal kitchens of India. 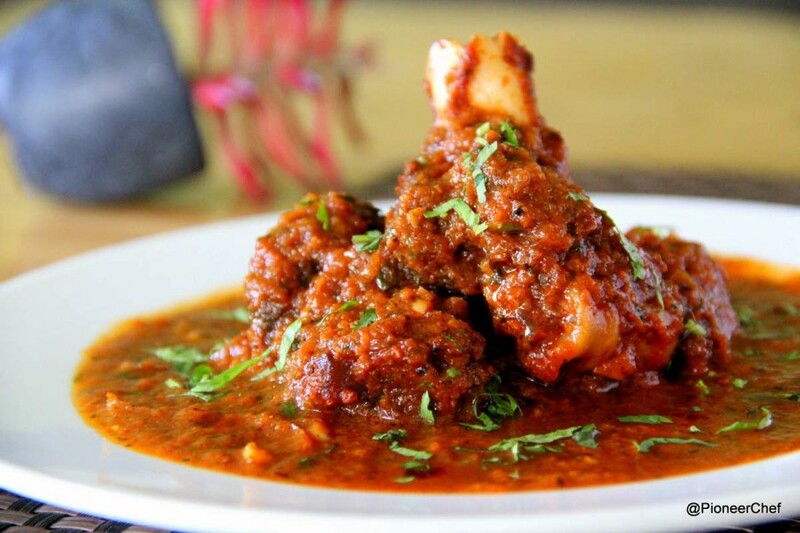 Other than mutton and mava it has lots of mysterious secrets personally thrown into the pot by Chef. A spoonful of it on your tongue and it’ll leave you wondering how someone could make dessert out of mutton. But that’s how it is, he has not only made it happen but made it so delicious sinful too. Vegetarians are not let down here too. 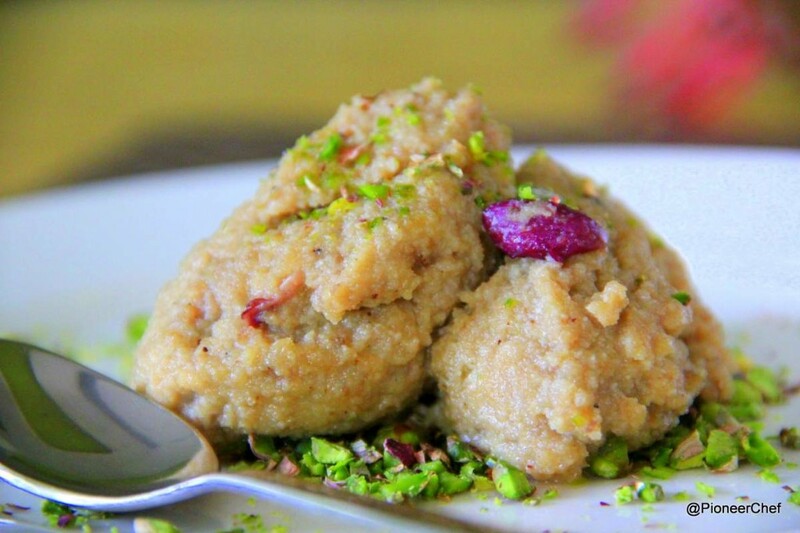 Chef has prepared Paan Kulfi that comes filled with the authentic flavors of pan and the traditional kulfi. 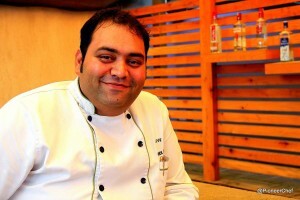 Chef Abhishek Mathur is a seasoned professional, who tantalizes taste buds with any food challenge that comes his way. Born and raised in Ajmer, India he grew up with a love for food and culture. Recently, Abhishek has geared his interest in Peter Berley’s, “The Flexitarian Table” and Myra Kornfield who are pioneering the ideas of flexitarian menus. The term flexitarian refers to people who eat meat occasionally or often, but love vegetarian and/or non-vegetarian food. Overall, Outback is a nice place to spend a relaxing evening with friends or family and enjoy drinks with some of the best food served hot from the grill.